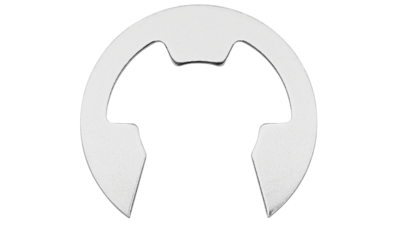 There are three types of stainless steel circlips, Internal Circlips (also known as a J Type Clips), External Circlips (also known as an A Type Clips) and E Type Circlips. 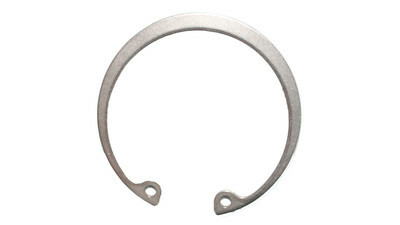 The circlip is a simple clip that is made from spring tensioned 304 grade stainless steel. Both the internal and external Circlips have lugs on the ends which have small holes for the special pliers to fit into, with the lugs showing on the inside of the internal circlip and on the outside for the external circlip. 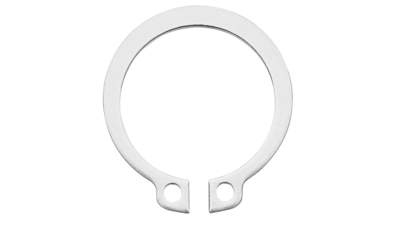 External Circlips are for fitting onto shafts, Internal Circlips are for fitting into holes and EÂ type Circlips that are made to fit onto shafts that are not precision manufactured or the customer requires a less expensive type of retainer. The E type Circlip does not require a special pair of pliers to fit it.